If you were looking for the Holy Bible of the horror anthologies, consider yourself lucky, because you just found it! Cosmic horror, supernatural events, ghost stories, weird fiction, mystical fantasies, occult narratives, this book plunges you into dark domains and brings you face to face with surreal monstrosities. 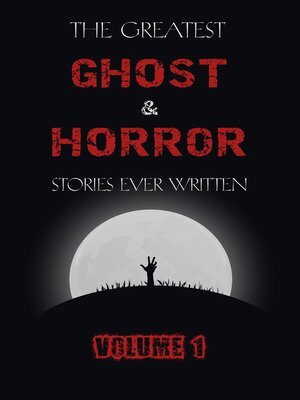 This first volume of "The Greatest Ghost and Horror Stories Ever Written" features 30 stories by an all-star cast, including Ambrose Bierce, Algernon Blackwood, Robert W. Chambers, M. R. James, H. P. Lovecraft, Edgar Allan Poe, Arthur Machen, Sheridan Le Fanu, Walter De La Mare, Franz Kafka, Robert E. Howard, John Metcalfe, W. W. Jacobs and Lafcadio Hearn, among many others!